Monmouth County Child Support Attorney, Family Law Lawyer | Law Office of Andrew A. Bestafka, Esq. The child support attorneys of Law Office of Andrew A. Bestafka, Esq. are known in Monmouth County for their compassion towards children, knowledge of family law, and straightforward approach with their clients who are dealing with the challenging issues presented by a divorce. We understand how difficult it can be for you and your family, and you deserve to have a dedicated ally on your side to help bring closure to this chapter of your life. The person you marry is never the person you divorce, and this becomes more obvious as the settlement process proceeds. When children are involved in the separation, the issue of child support can become extremely contentious between both parties. You want what is best for your child, and you want to secure all of their needs. As experienced family attorneys, we understand the love for your child is unconditional, and we can help establish your child’s continued success through financial support from your former spouse. The law protects the parent with primary custody of a child by ensuring they receive adequate financial assistance to care for the child’s needs properly. Unfortunately, as the divorce proceedings get underway, the nastier sides of people can be exposed. If you or a loved one is struggling to convince another party of their vital obligation to provide for their child’s financial necessities, it is essential that you receive legal insight concerning your rights. Law Office of Andrew A. Bestafka, Esq. has the insight and experience you need on your side of the argument so the judge will listen, and we will be with you every step of the way. Contact an experienced child support attorney of Law Office of Andrew A. Bestafka, Esq. at (732) 898-2378 to speak with a compassionate, knowledgeable member of our team today. 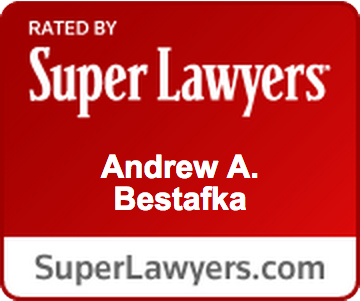 Why should you choose Law Office of Andrew A. Bestafka, Esq.? Legal proceedings are complicated, and chances are your former spouse is not taking the issue of child support in front of the judge by themselves. You need legal representation from someone you can trust, and for more than a decade, the citizens of Monmouth County have turned to Law Office of Andrew A. Bestafka, Esq. when they needed help the most. We pride ourselves on providing our very best for every client we represent, and we will not stop fighting on your behalf. You don’t want to trust an inexperienced attorney with representing your concerns when it comes to something as important as child support. You need to find legal counsel from a professional team of attorneys that has proven in the court of law that they have the skills it takes to protect families from unfair negligence. 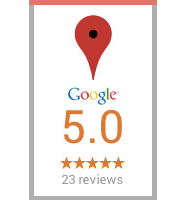 You can trust Law Office of Andrew A. Bestafka, Esq., and you need to contact us today at (732) 898-2378 so we can start making things right for you. 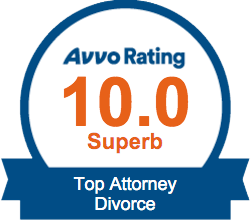 Before completing a divorce, some different issues must first be settled. One of the most divisive issues which can arise in divorce is that of child support. The parent with primary custody of the child may require significant financial assistance to continue to raise the child in the manner to which they are accustomed. Unfortunately, many parents are reluctant or unwilling to fulfill this critical obligation to their child and their former spouse. If you or someone you know is considering divorce, it is essential that you understand all of your rights and options under the law. 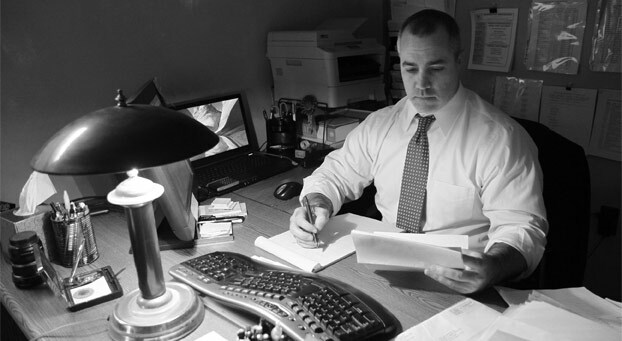 Contact a Monmouth County child support lawyer at the Law Office of Andrew A. Bestafka, Esq. at (732) 898-2378 today to speak with an experienced legal professional about the details of your situation. Because of the considerable importance that support agreements have for a child’s life, it is crucial that they are designed and fulfilled appropriately. During a divorce, one of the most complex and emotionally-loaded issues is often the question of child support. We know that you likely have questions about your rights and what you or your spouse’s obligations may be, so make sure to contact a member of our team at (732) 898-2378 to schedule a confidential consultation today. In the meantime, we have provided the following frequently asked questions and their answers below for you to review. If the parent who is paying child support loses their job, can the amount of child support be adjusted? When a parent loses their job and becomes unemployed, the court still expects them to meet their financial obligation to pay child support. If a parent wants to decrease the amount they owe each month because of their unemployment status, they will need to file a motion with the court. In that motion, they will need to convince the court of a significant and continual change in their income if they are going to successfully reduce the amount of child support. However, it is unlikely that the court will lower the original amount without a parent establishing evidence that the job loss is final, will last a long time, or that a job position with similar pay is unavailable. The court may not change the amount of child support to reflect a parent’s unemployment, but a parent should still file a motion in a timely manner if they lose their job. If the court sides in favor of the motion to reduce child support payments, the effective date will start on the day the motion was filed, and it can take time for the court to organize a hearing. The court will not excuse child support that was due before the day the motion was filed. Is child support different for parents that aren’t married? When a couple has a child out of wedlock, both parents are still responsible for that child’s well-being, and this includes financial obligations as well. Nevertheless, complications can arise when paternity has not yet been legally established. In New Jersey, there are several ways to establish paternity, such as a filing a Certificate of Parentage with the State Registrar. Parents might have already completed this document at the hospital when they filled out the child’s birth certificate application if their child was born in New Jersey. Once both parties sign it, a COP is a legally binding document that establishes paternity, even if the father was a minor when they signed it. The COP is not valid if it was canceled, or rescinded, within 60 days, and the court did not already issue a mandate for a parent to pay child support. If there is no voluntarily signed document of the father claiming their child, then the court may apply a legal presumption of paternity. In this instance, the court will assume the father based on certain factors and will operate with the understanding that the presumption is fact until proven otherwise. If a man who is legally presumed to be the father wishes to challenge the assumption, they may ask the court to rule on paternity. This can only happen before the child turns 23, and the challenging party must provide the court with “clear and convincing” evidence of the man’s relationship with the child. Clear and convincing evidence is not as difficult to establish as it is in criminal cases, but it will be subject to a higher scrutiny than most civil cases. Legal presumption in New Jersey automatically applies to couples that were married within 300 days of a child’s birth, with the husband being presumed to be the father of the child. For couples that have never married, the man will be legally assumed to be the father if he provides support for a child that is under eighteen, and he tells people that he is the child’s father. How long does a parent have the financial responsibility to support the child? Some parents believe that child support only ends when the child turns eighteen, and in many places this is true, but it is not always the case. New Jersey has some of the strictest laws governing child support, and the court rules child support is no longer necessary only when the child has reached the status of emancipation. Emancipation can be defined in several ways, and this will need to be decided in court. Typically, child support continues if the child is still in high school or secondary education, and the state of New Jersey is one of six in the union that has declared a parent’s obligation to pay for their child’s college expenses. If you have ambitions for your child to attend college after graduating high school, this issue is paramount, and you need to clarify legal boundaries during court proceedings. The child is usually considered emancipated in the eyes of the court if the child is nineteen years old and married, has offspring of their own, or is no longer in an education system. Furthermore, the child will be declared emancipated if they enlist in the military or Coast Guard. Unfortunately, this problem is all-too-common in New Jersey family law. If a parent does not fulfill their duty to pay child support and the money becomes overdue, then the amount that is owed is called an arrearage. Fixed arrearage is when the court has heard a formal complaint and decided on the amount that a parent owes. Until the court has confirmed that the parent has failed to pay their child support, the amount they owe is called an unfixed arrearage. The parent that is not receiving the court’s mandated child support allowance needs to file an enforcement application to compel the court to address the arrears. An enforcement application can also be filed by an attorney and the supervising Probation Officer if child support is being collected through the local Probation Department. New Jersey law enforcement rarely makes arrests for failing to pay child support, but they will almost always be reported to the three major credit bureaus. A parent’s credit can be severely damaged if a report is sent detailing a significant amount of child support arrearages, and it may develop into a lien on the parent’s real estate property. Our attorneys have proven time and time again that we know how to handle these sensitive family matters, and we care about the families that we support. You don’t have to manage these challenging times by yourself, and you want the right legal representation to defend your argument in the court of law. You want the professional advice that Law Office of Andrew A. Bestafka, Esq. can provide, and you need it now. Call us today at (732) 898-2378 so that we can get started gathering the information we need to help you complete this child support dispute.